The first episode of a new series I edited is to be broadcast tonight on TG4 at 9:30. 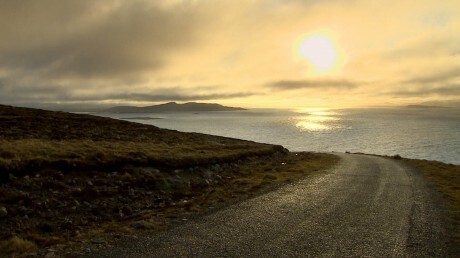 Arran Mhor takes a look at life on the Donegal island over four seasons with tonights episode being about Spring. The series is made by the same people who made the wonderful series “Bhlian in Inis Oirr” and “Ag Bogadh go Inis Meain”. I loved both those shows so I was thrilled to be asked to edit this series which is something of a companion piece to the previous series. It’s directed and produced by David Power of Power Pictures and beautifully photographed by Philip Graham. The island is a very interesting place with a fascinating history that is at something of a crossroads. The documentary takes a look at the lives of the people living there now and their relationship with each other and the landscape around them. On a personal note I was delighted with how the series turned out, I put a lot of work into it and I really hope people watch it.